The Gulf Islands National Park Reserve was created to preserve the Gulf Islands natural beauty, and to protect several ecological sensitive areas. 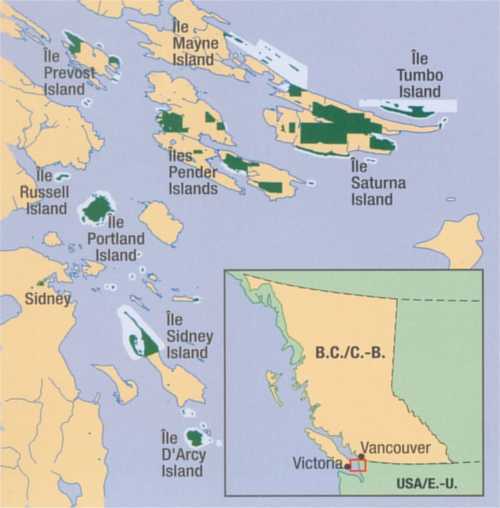 The park consists of Cabbage Island, Tumbo Island, Portland Island, Brackman Island, The Sidney Island Spit, D'Arcy Island, Russell Island, parts of Pender Island, and almost half of Saturna Island. The park also includes several small islets off the Georgia Strait side of Mayne Island and Samuel Island. More information on the above islands & many more is available in the Other Islands section of LiRead.com. The facilities available depend on location and may include: mooring buoys, dockage, dinghy dock, stern ties, outhouses, walking / hiking trails. Some portions of the park are ecological reserves and are not open to the public.